Front clamping mechanism locks the seat onto the toilet so you don't have to worry about it coming loose or shifting during use or transfer. Wide, contoured surface raises seat level by 5". 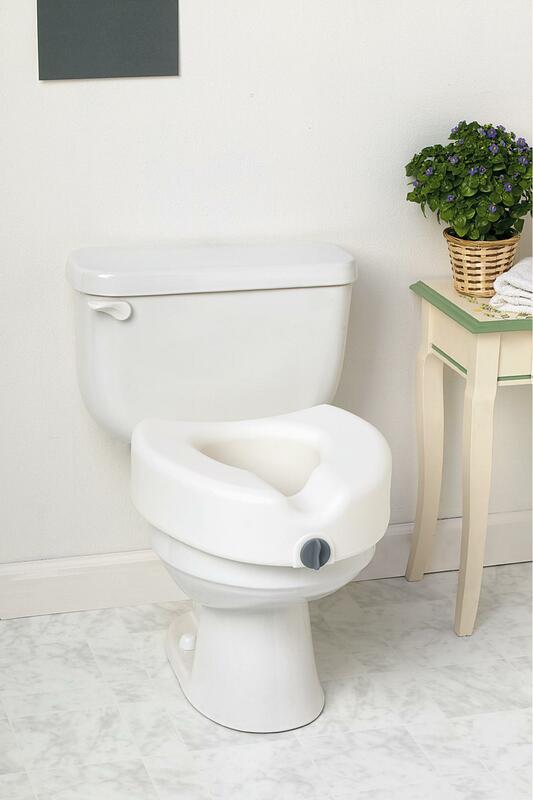 Provides maximum comfort and fits most toilet bowls from 11"- 14" long.